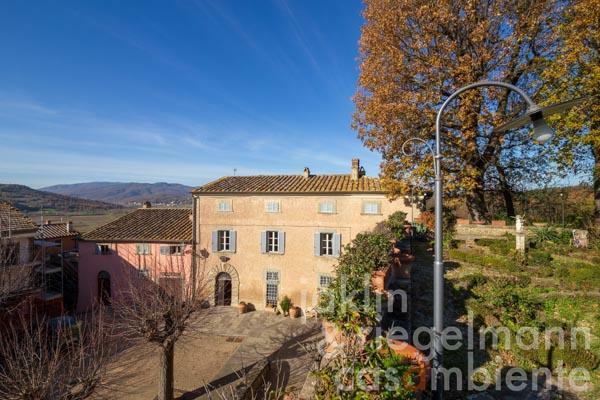 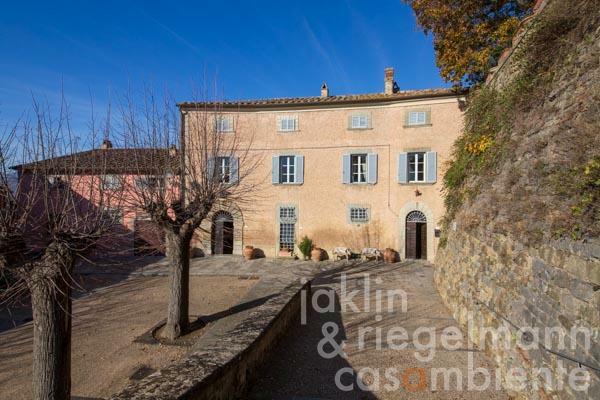 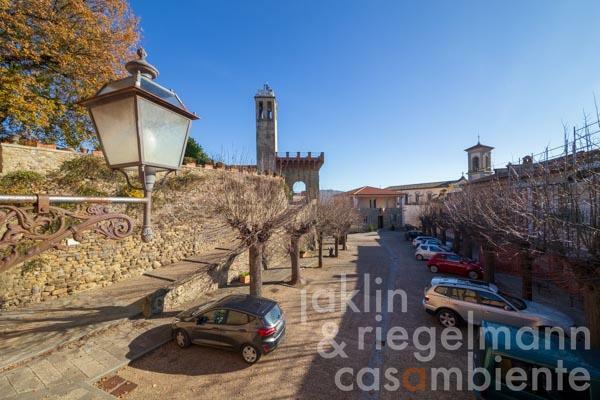 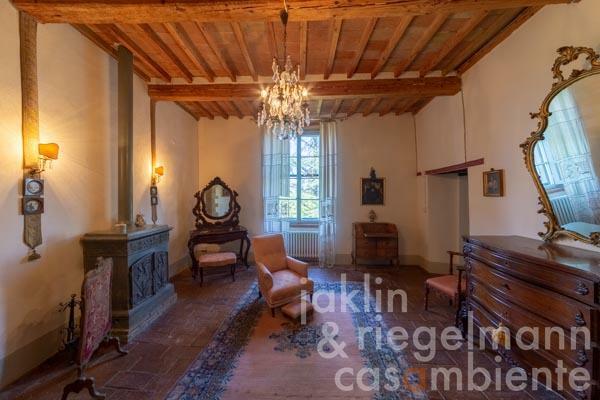 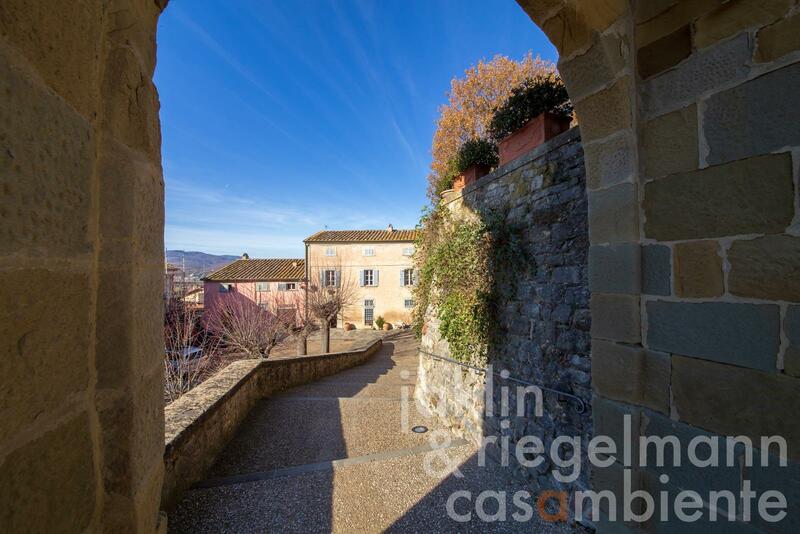 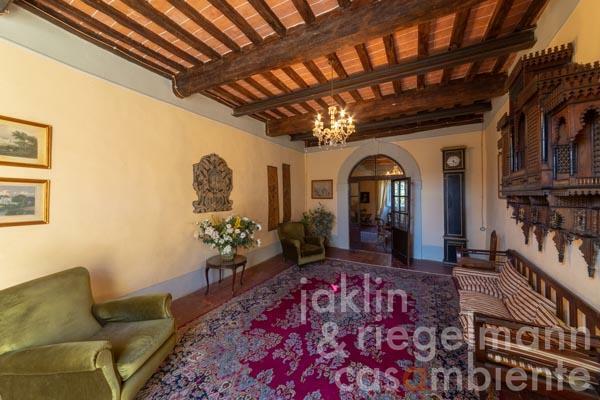 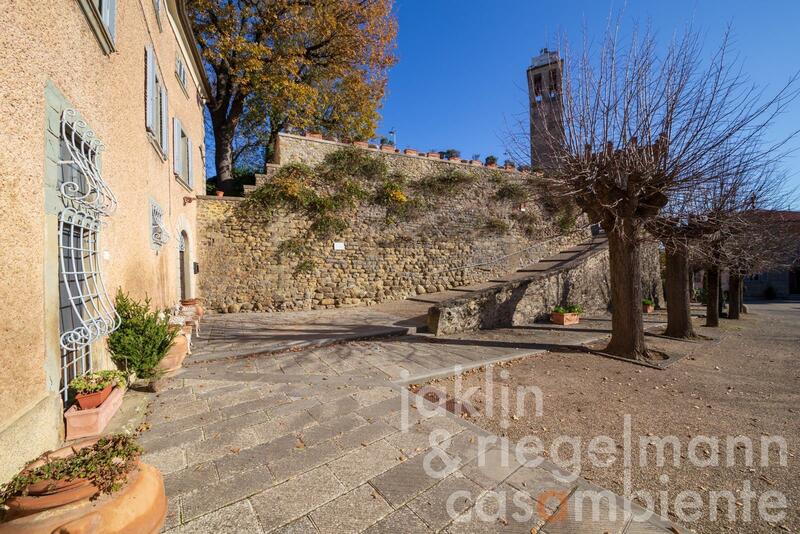 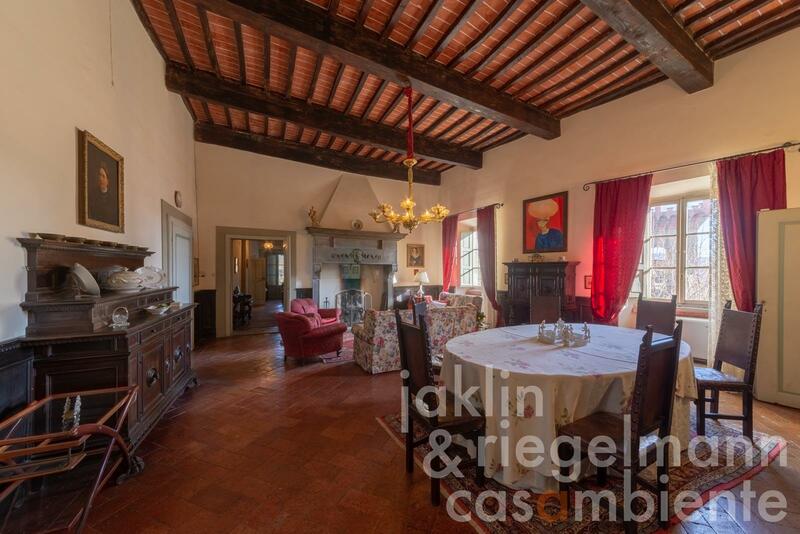 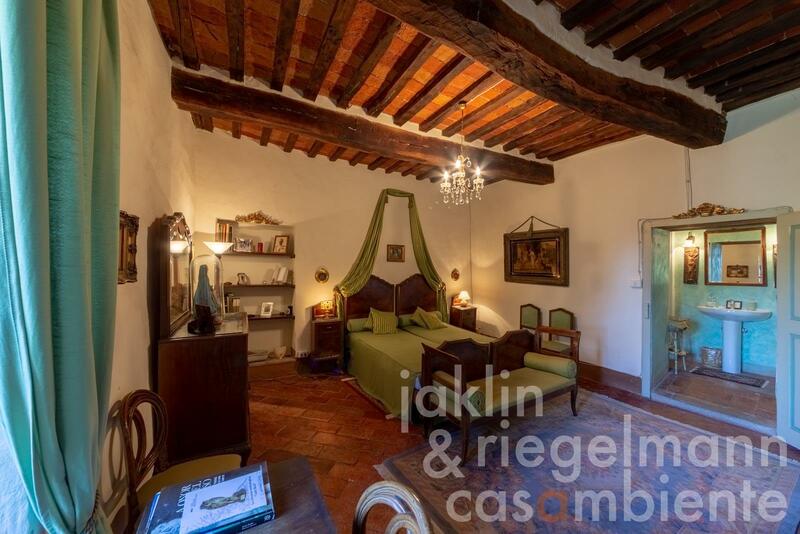 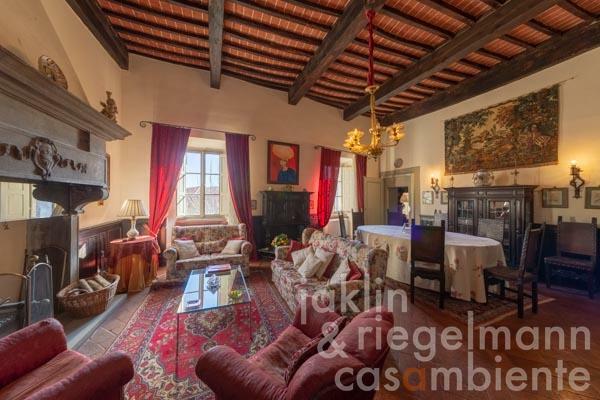 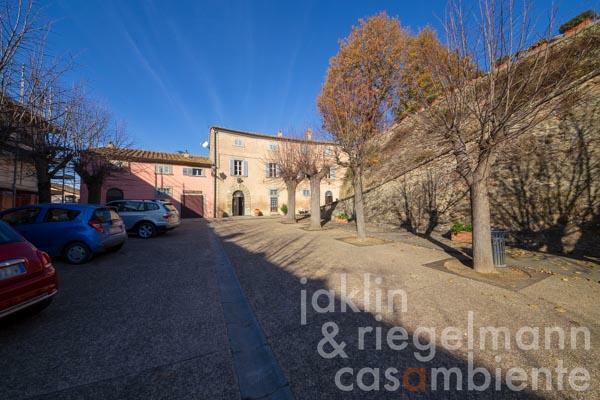 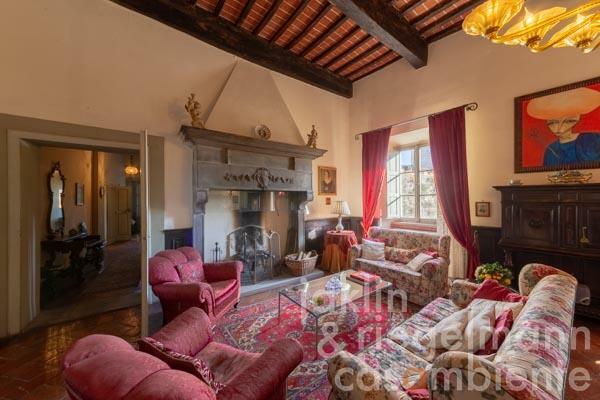 This unique Italian property for sale, a historic Palazzo out of the 17th century, is situated in a small town in Tuscany and features a garden and pool on the former fortification walls of a mediaeval castle. 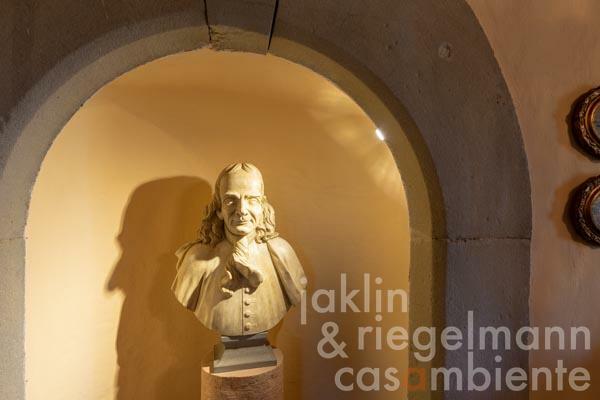 The Palazzo is ascribed in historical documents to the Grand Duke Ferdinando II of the Medici. 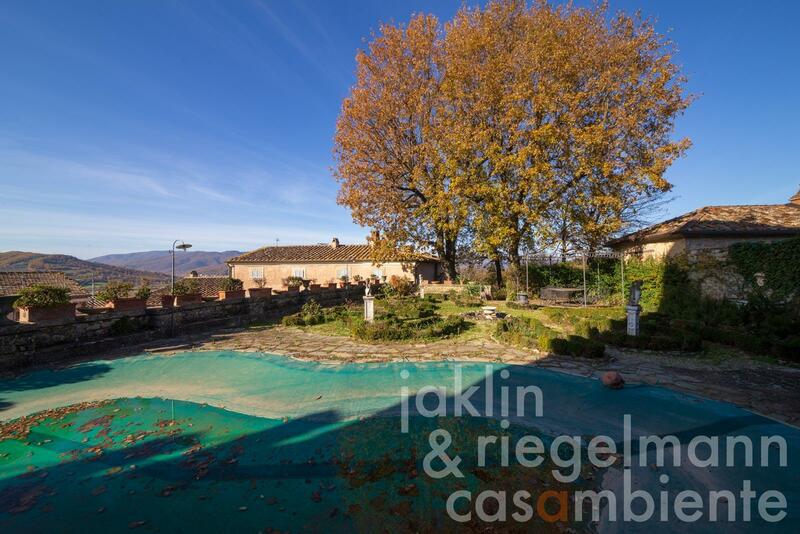 The location is ideal, combining privacy, tranquility and the possibility to participate in the town life. 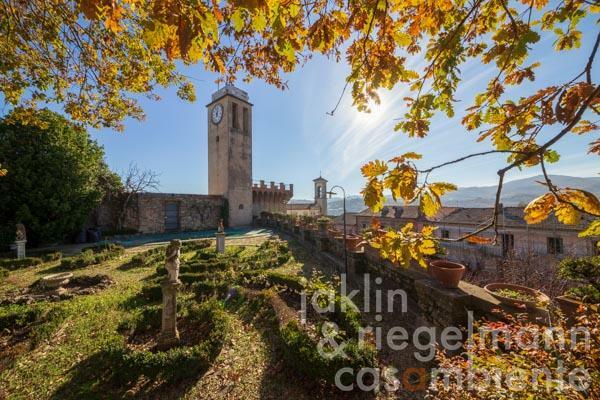 The surrounding cities and towns like Arezzo and Sansepolcro in Tuscany as well as Città di Castello in Umbria offer all amenities and a rich cultural scene. 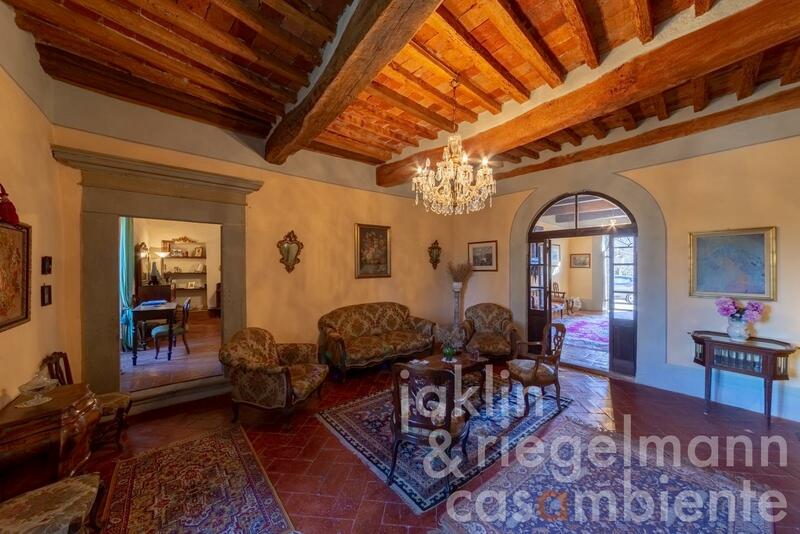 The Palazzo is composed of three floors. At ground level, entering the main door, there are two large sitting rooms, a lovely suite with bathroom, and a bedroom with bathroom. 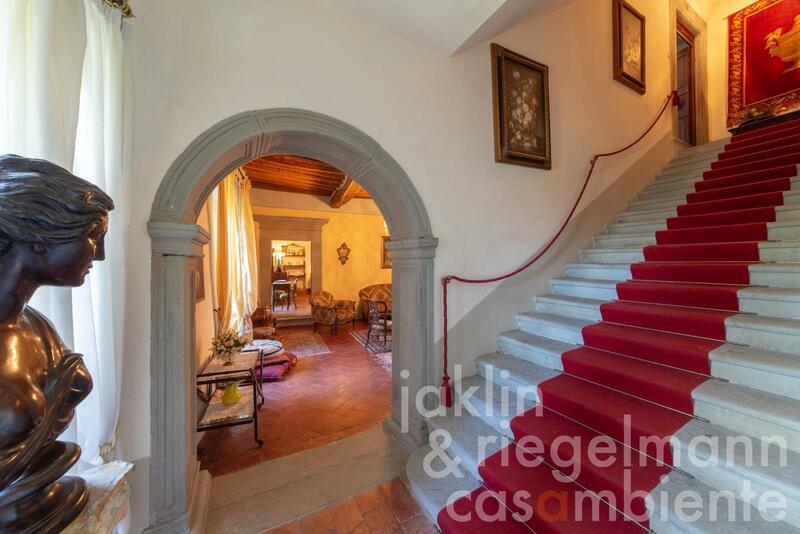 A beautiful broad staircase leads to the first floor, which offers a vast living- and dining room with open fireplace and access to two bedrooms with en-suite bathrooms, and a study. Down the corridor is the fifth bedroom. 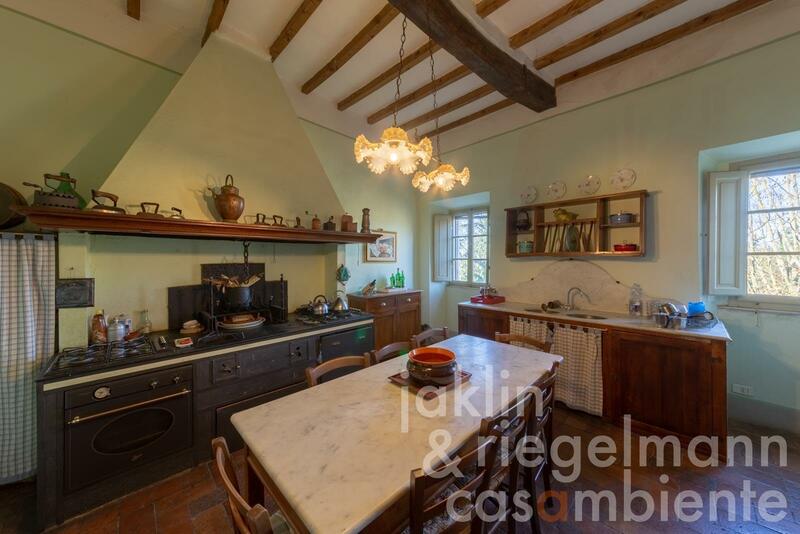 The large kitchen opens into the TV/reading room and to the garden and terrace for al fresco dining. 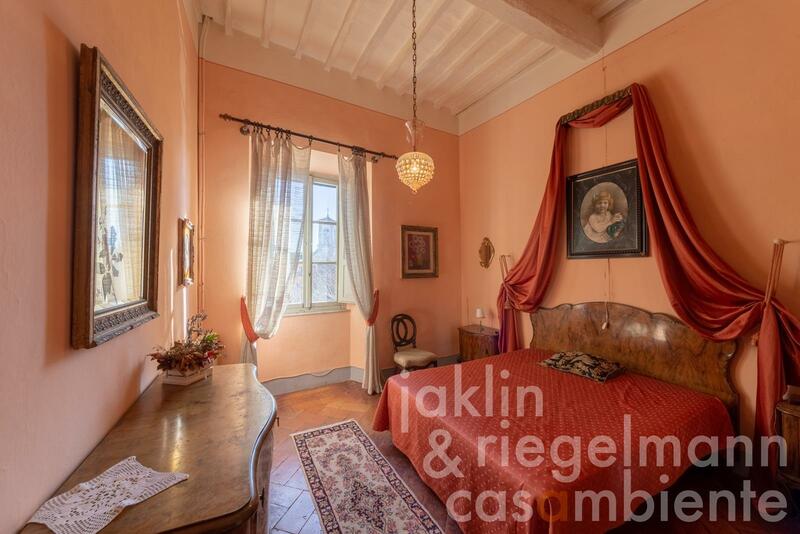 A fully autonomous flat, composed of two bedrooms with en-suite bathrooms and a living room with kitchenette, is also located on the ground floor. 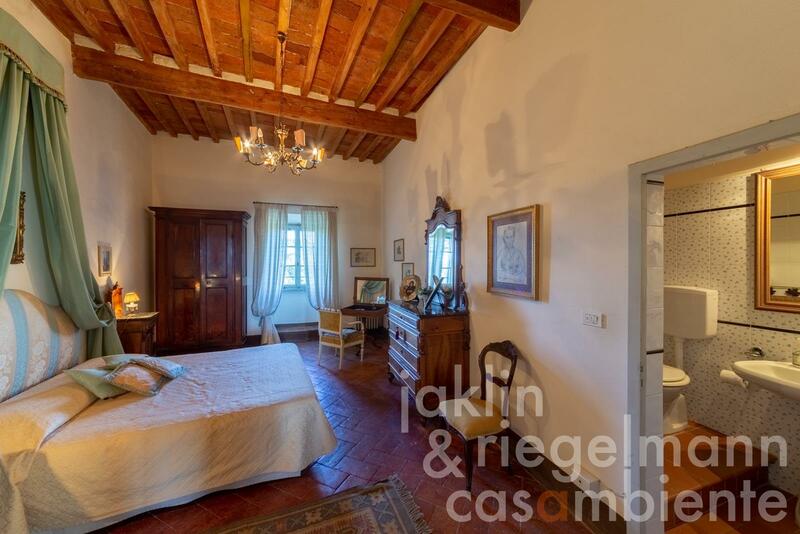 The attic is accessible via external stairs from the garden level and offers ample storage room. 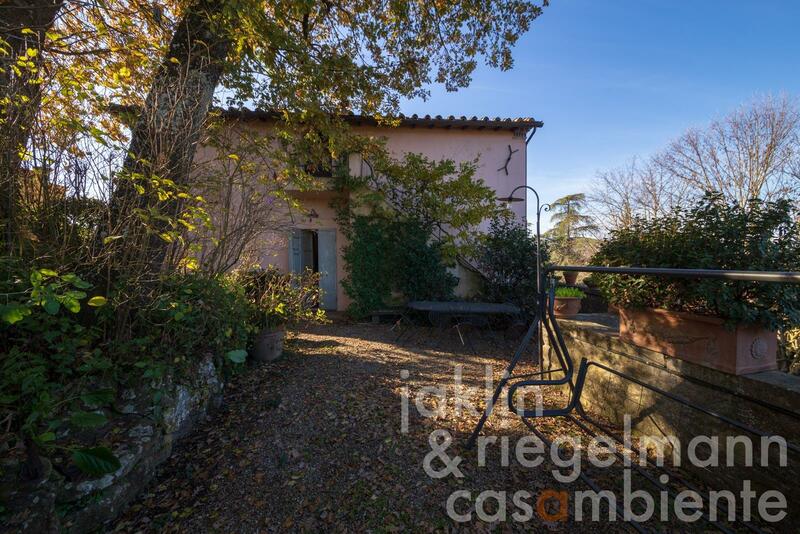 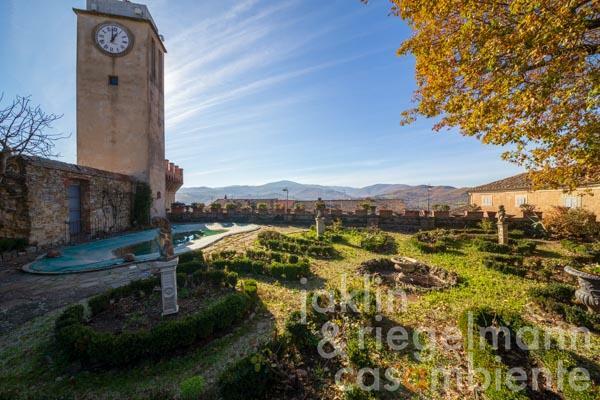 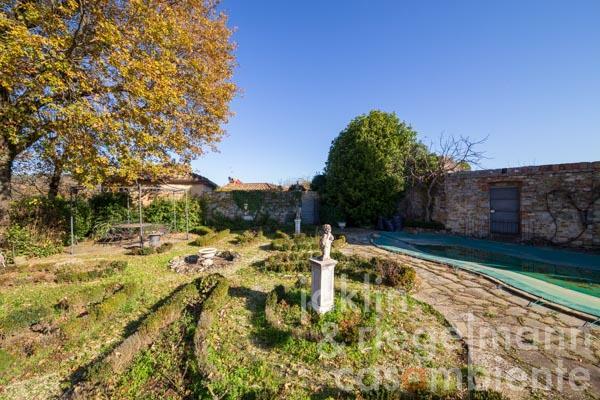 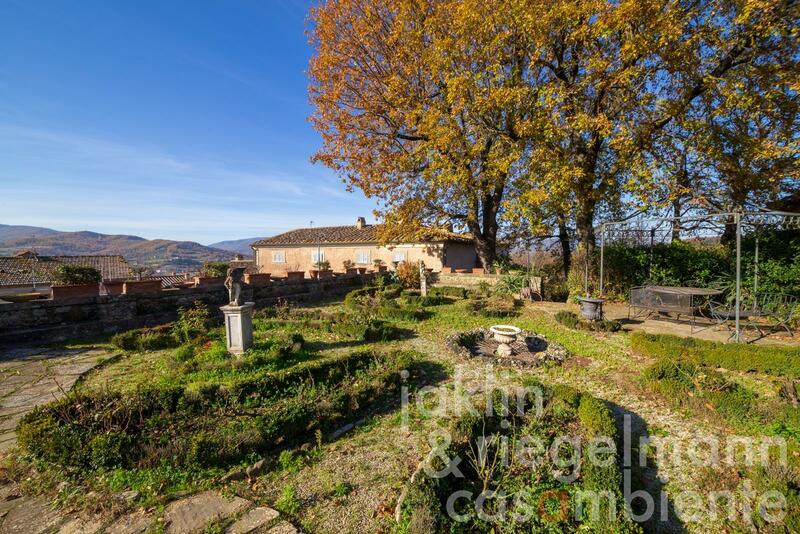 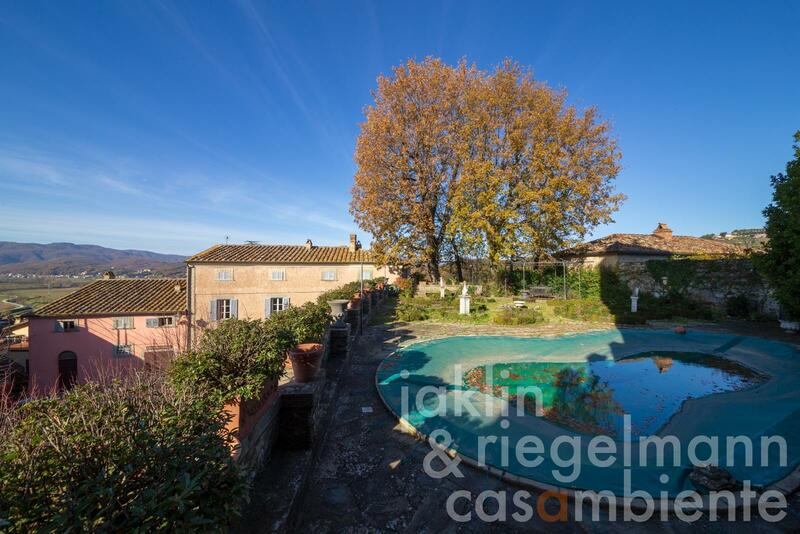 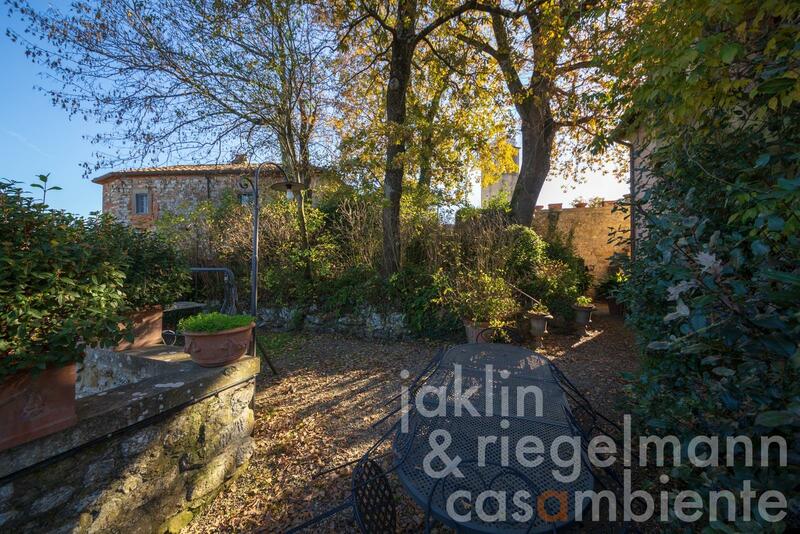 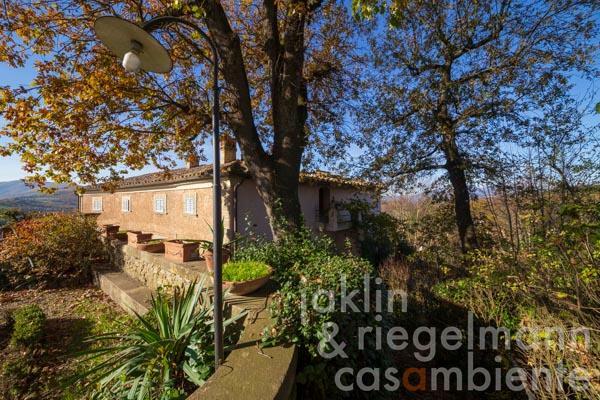 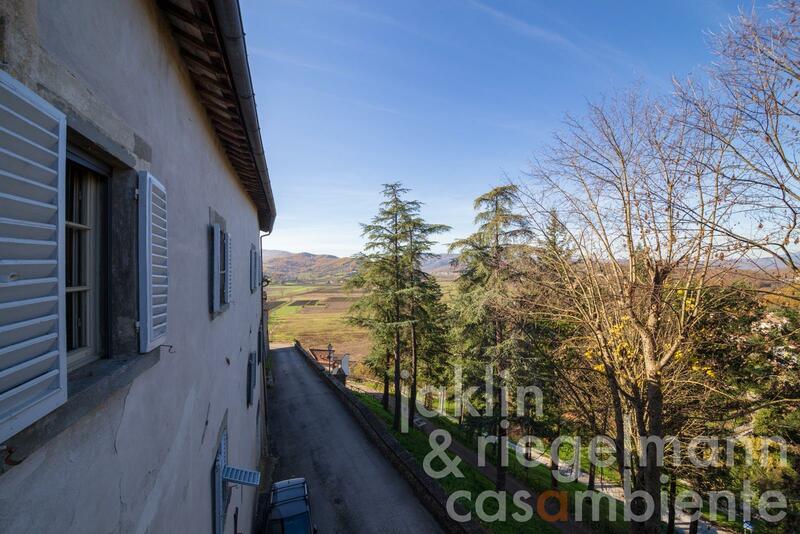 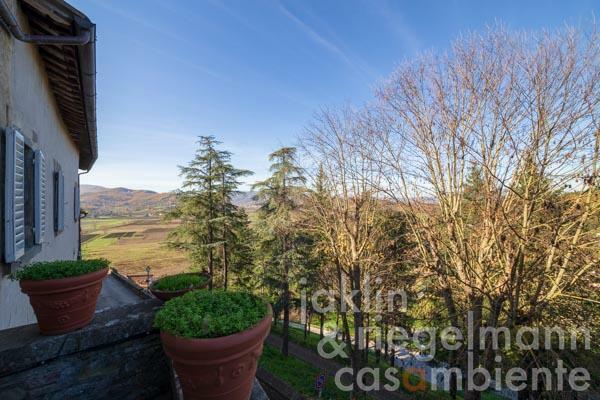 The garden is set on two levels with the pool being well embedded on the upper level right under the watchtower with panoramic views across the town and the surrounding Tuscan landscape. 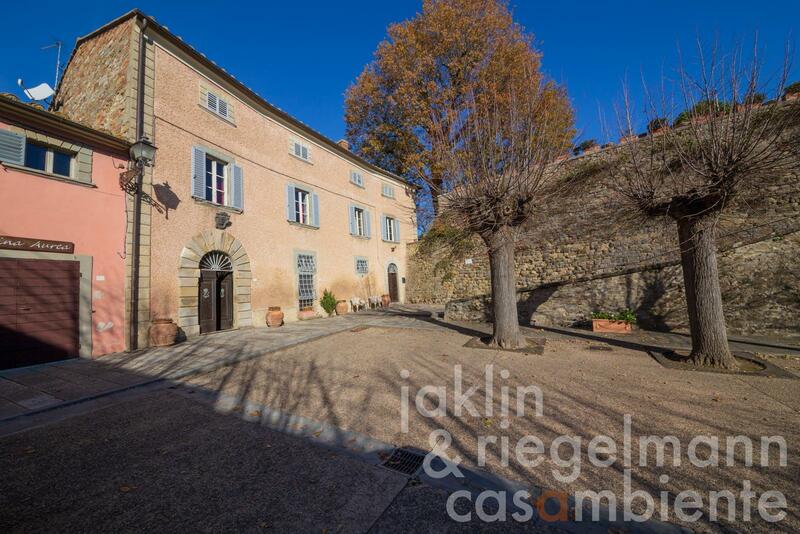 The impressive cellar rooms and garage are accessible from the living areas as well as from the street level below. The town has a variety of restaurants, bars, pharmacy, bank, post office and several shops. 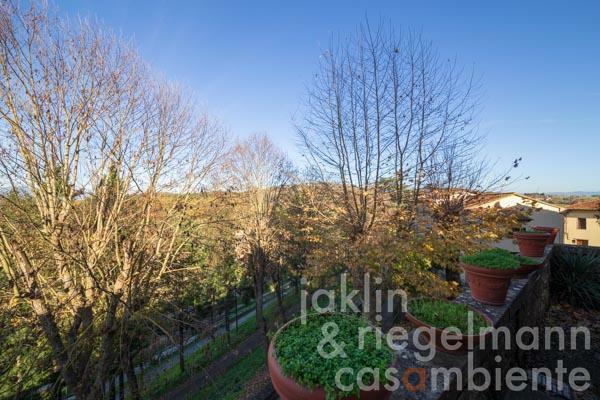 460 m² terrace and garden. 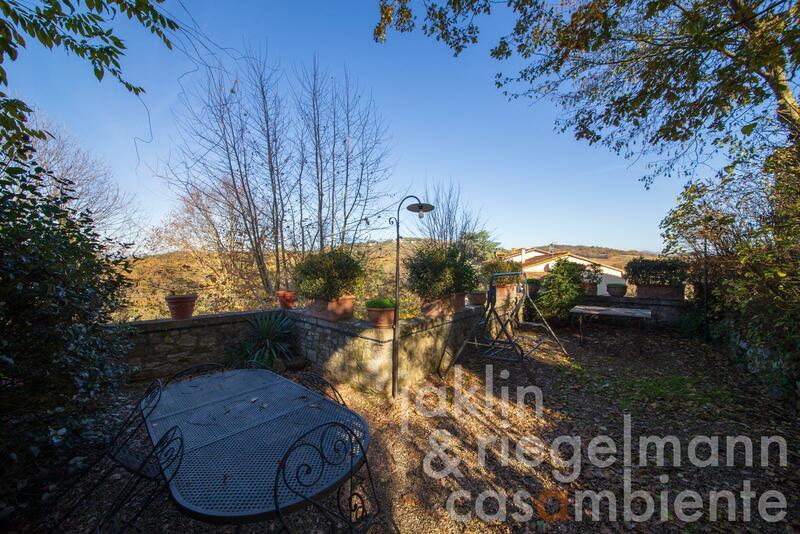 Electricity, mains water, central heating, fireplace, gas connection, telephone, broadband internet access, satellite-TV, swimming pool, garage, terrace, garden.